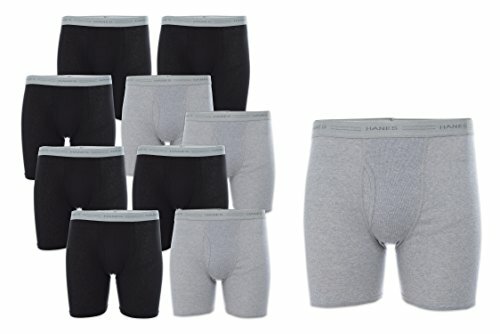 Hanes Men’s Boxer Briefs underwear are available in a convenient pack of 10. With super soft ComfortSoft fabric, these underwear offer everyday, all day comfort from the brand you trust. Hanes Men’s TAGLESS® boxer briefs are now even softer, with a Comfort Flex® waistband that is soft and stretchy. These Hanes boxer briefs feature FreshIQ advanced odor protection technology that helps reduce unpleasant odors from your clothes.